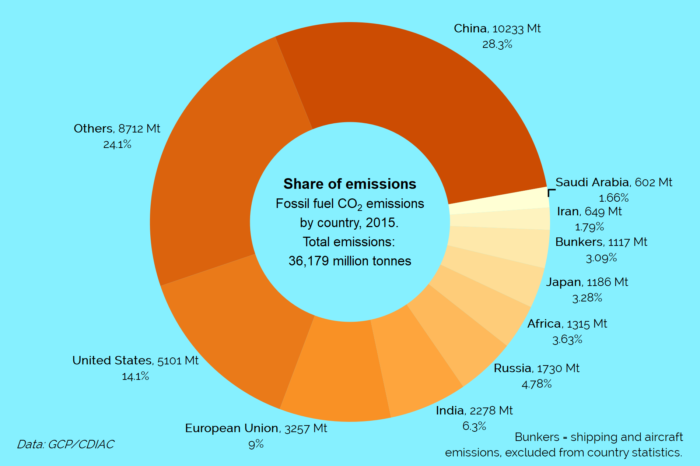 Where do emissions come from? There are two powerful stories in this chart. One is about growth. The other is about inequality. 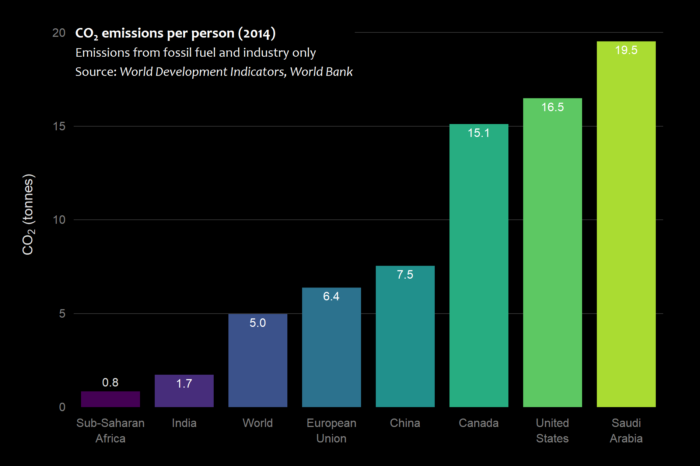 The last few decades have witnessed a global emissions arms race. It has been a race to prosperity, lifting billions of people out of poverty and into comfortable homes and comfortable lives. This is good. 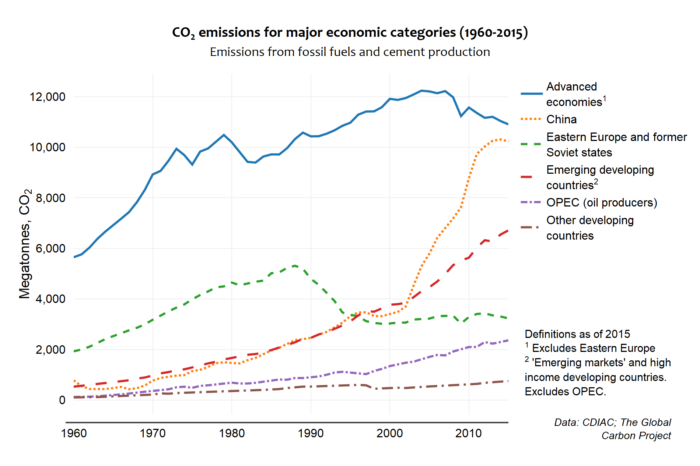 But this prosperity has been built mainly on the foundation of fossil fuels. The result has been a runaway increase in CO2 emissions; the main cause of global warming, and as a consequence, climate change.